This month’s Farm Fresh Food Day is going to be BIG. 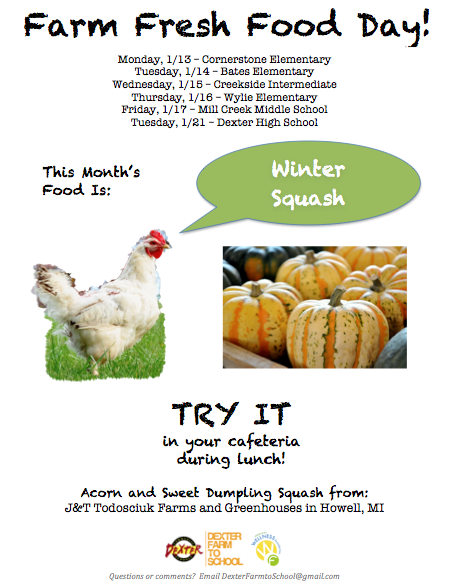 We’ll be featuring Winter Squash at ALL 6 Dexter schools, specifically Acorn and Sweet Dumpling squash grown at J&T Todosciuk Farms in Howell, MI. Dexter students are especially excited for this month’s Farm Fresh Food Day, so don’t miss out on the fun!